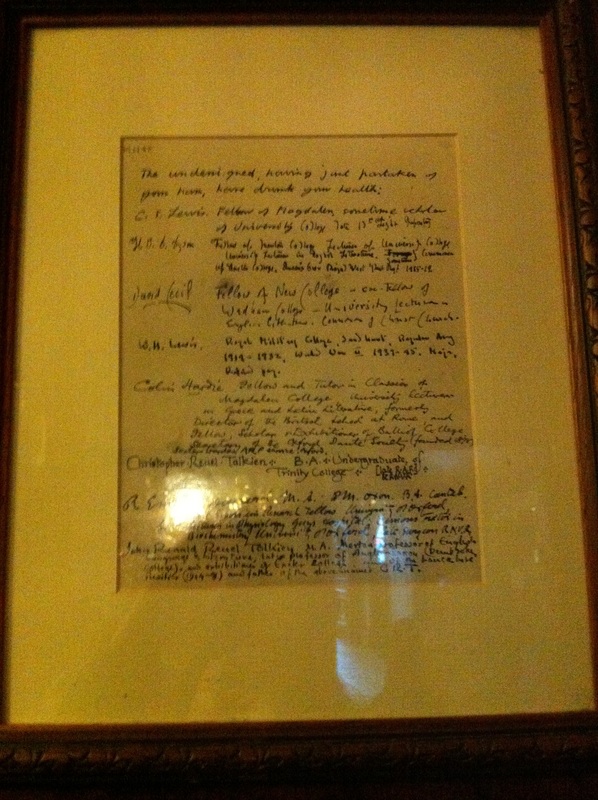 When in Oxford, why not visit ‘The Eagle and Child’ pub and discover its unique history with some of the greatest writers in English history. 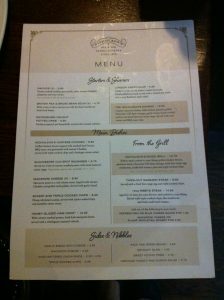 The pub is located very close to the Faculty of Classics at the University of Oxford. 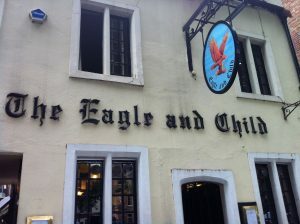 The Eagle and Child Front Door. 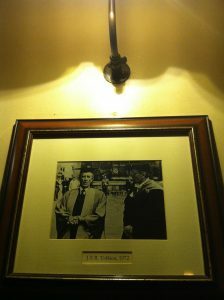 In this pub, at around year 1939 to 1962, J.R.R. Tolkien and C.S. Lewis regularly met. The spot near the fireplace is where J.R.R. Tolkien and C.S. Lewis regularly met. And it is to me (& my husband) suggestion that the birth of famous novels such as ‘The Chronicles of Narnia’ and ‘The Lord of the Rings’ may had been developed during their discussion in this pub. 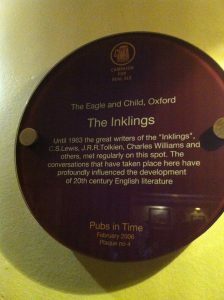 According to the information at the pub, The Inklings is the name of the group where J.R.R. Tolkien, C.S. 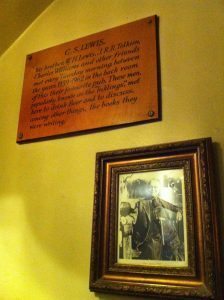 Lewis and other writers regularly meet – and most probably discuss their writings – at this pub. 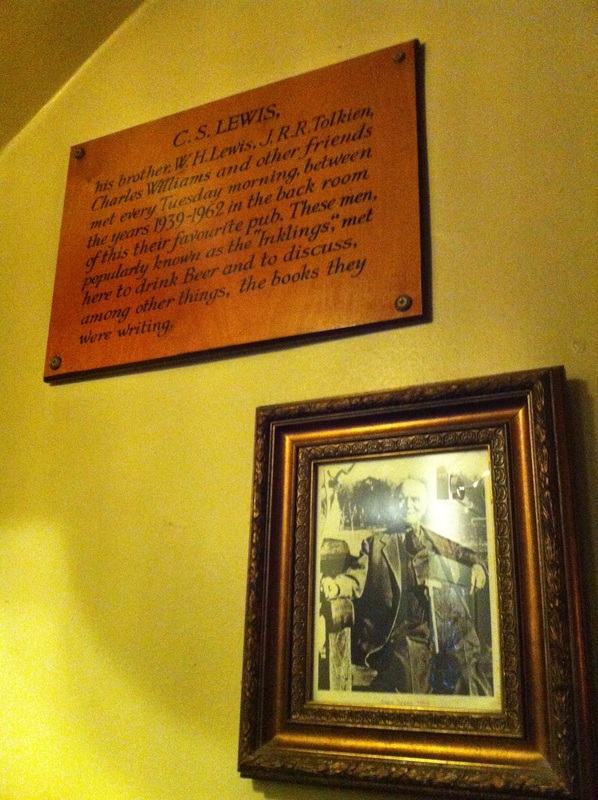 It is very interesting that the timing when ‘The Chronicles of Narnia’ and ‘The Lord of the Rings’ was launched and the timing when ‘The Inklings’ had their regular meeting in the pub was a close match. The Chronicles of Narnia’s first series: The Lion, the Witch and the Wardrobe was published in 1950. The Lord of the Rings’ first volume: The Fellowship of the Ring was published in 1954. And ‘The Inklings’ regular meeting at the pub was between 1939 to 1962. 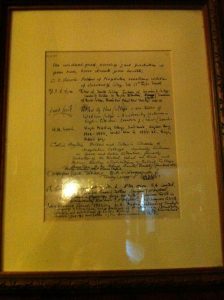 Even the timing of the whole series of ‘The Chronicles of Narnia’ (1950-1956) and the whole series of ‘The Lord of the Rings’ (1954-1955) was perfectly fit in with the timing when ‘The Inklings’ regularly met at the pub (1939-1962). The explanation at the pub says it all.. I have to confess that I have never read ‘The Chronicles of Narnia’ or ‘The Lord of the Rings’ novels. I think I had watched one series of ‘The Lord of the Rings’ movie – don’t remember which one. And it gives me a success of ‘falling asleep while watching it’ as I am so overwhelmed with ‘too much fantasy’ and need to stay grounded to get my reality back. And so therefore this genre is not my cup of tea. Anyway.. I am kinda interested to listen to my husband theory that JRR Tolkien academic background of language and literature may have influenced him to create The Hobbit’s own language and alphabets. I think my husband is a fan of him. 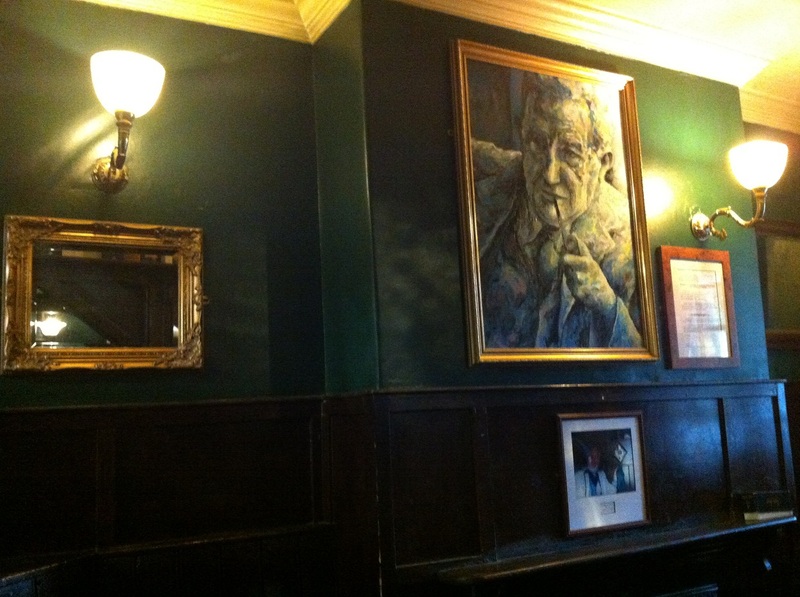 But to think that this pub has a close proximity to where Tolkien had studied (Classics) – and thus it may well be his regular local pub – is amazing. 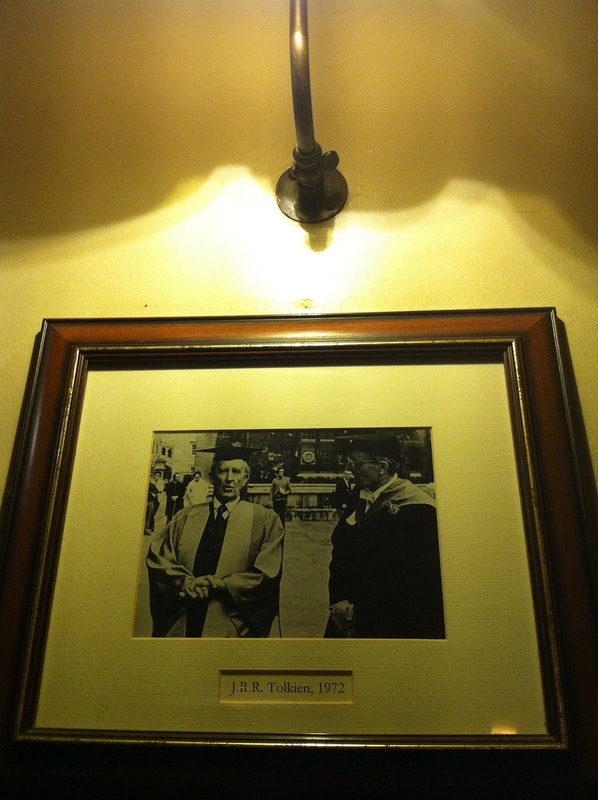 JRR Tolkien picture at the pub. I am not sure who is the man in the big picture? Maybe Tolkien? Well, that’s all the story that I can report from this historic pub. So whenever you are in Oxford, a lunch at The Eagle and Child could be one of your ‘To do lists’. 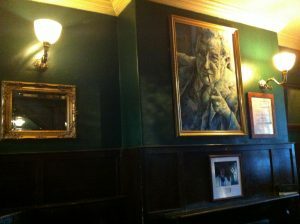 The pub is an iconic Nicholson’s pub and my husband tells me their the real ale is delicious. The Eagle and Child’s menu. 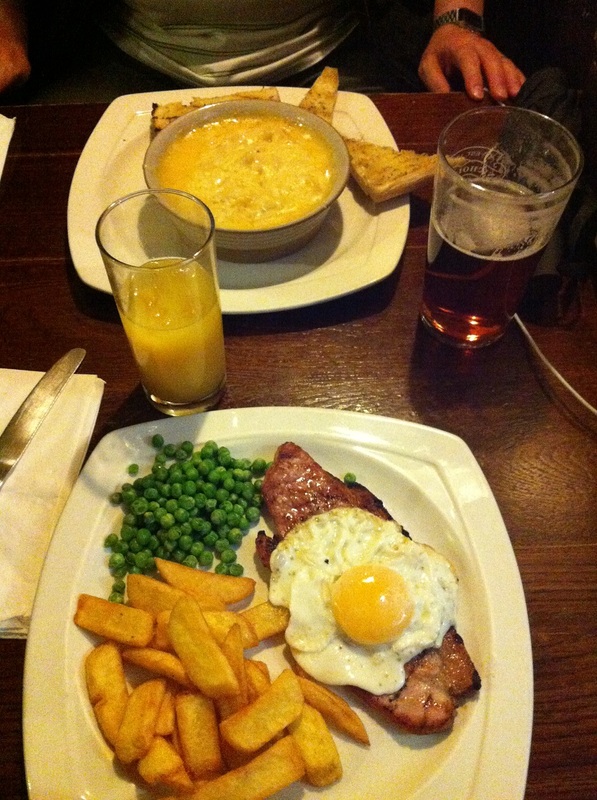 Gammon steak and macaroni cheese.